As the Butte County fire rages on and air quality reaches "very unhealthy" and "hazardous" levels across Northern California, Bay Area residents have been advised to stay indoors as much as possible to avoid breathing in the toxic particles in the atmosphere. Fortunately, many of San Francisco's world-class art museums are opening their doors for free this weekend—not only to offer local art lovers an escape from the outside air, but to provide some much-needed spiritual nourishment as the fire's death toll climbs. 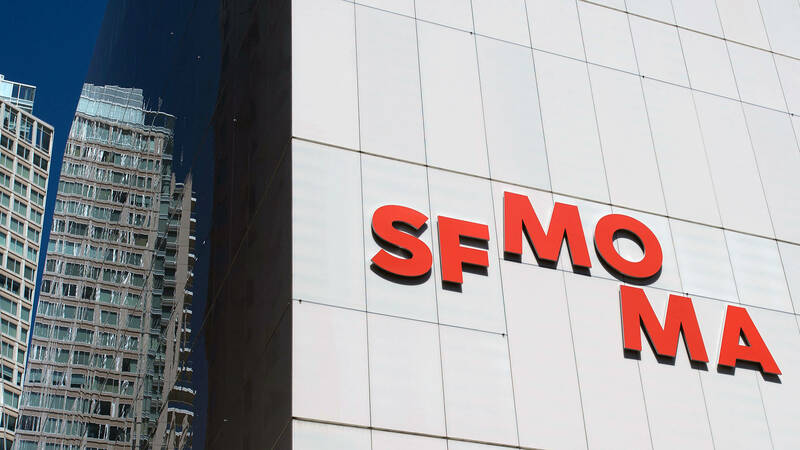 Like it did last weekend when the smoke first hit, SFMOMA offers its second-floor gallery free of charge on Nov. 17 and 18, no ticket required. The museum's second floor houses its permanent collection, which features painting and sculpture by renowned artists like Frida Kahlo, Marcel Duchamp, Diego Rivera, Mark Rothko, Frank Stella and more. Bay Area artist Wayne Thiebaud's two concurrent solo shows are also free. The Asian Art Museum is free today, Nov. 16, through Nov. 18. Its offerings include the vibrant contemporary exhibit Painting Is My Everything: Art From India's Mithila Region; Haroon Mirza's nightclub-meets-temple installation The Night Journey; and contemporary Korean artist Kim Heecheon's Lifting Barbells. Smithsonian affiliate MoAD offers free admission today through Nov. 18. The museum's current offerings include the first West Coast solo show of Eritrean-American abstract painter Ficre Ghebreyesus; Second Look, Twice, a group show featuring renowned artists like Kara Walker and Martin Puryear; emerging Bay Area artist Shushan Tesfuzigta's solo show, I Told You Who Am I; and the 5/5 collective's exhibition, black no(where). The deYoung Museum offers its large permanent collection for free today through Nov. 18. It features vast arrays of African, Oceanic and North and South American folk art; photography; textile art; and a graphic arts collection with names like Rembrandt and Degas. Its excellent, new Muslim fashion exhibit is open for an additional fee.